In their revealing book Toxic Sludge is Good for You, authors John Stauber and Sheldon Rampton chronicle the ways in which corporate propagandists pose as consumer advocates or hijack grassroots organizations to further the agendas of various industries. This supposed consumer watchdog organization that has waved high its antifat banner while remaining outrageously easy on certain harmful food additives, most notably aspartame and MSG, has hit a new low. This attack on a natural, noncaloric sweetener used for centuries in South America and for over a quarter century in Japan is a poorly thought-out attempt to discredit a beneficial herb that poses no threat whatsoever to human health but a potentially big one to corporate profits. Stevia, 150 to 400 times sweeter than sugar, a plant native to Paraguay, is now enjoying increasing popularity, especially in Japan, where it has been thoroughly tested for toxicity and declared completely safe for human consumption. No reports of adverse effects in people have ever been associated with stevia in its long history of use. The U.S. Food and Drug Administration has full authority to take action against stevia — now sold in the United States as a dietary supplement — if any evidence that it harms humans exists. None does. Stevia, however, is credited by many people with having various beneficial health effects — particularly in stabilizing blood sugar (it is considered ideal for diabetics) and inhibiting tooth decay. With a spin that might well have come from an industry public-relations flack, the CSPI article and accompanying press release about stevia cite poor and irrelevant science and fail to mention the wealth of research and historical data that has shown stevia to be perfectly safe. Even the two outside experts they quote take contradictory stands. The CSPI attack on stevia contrasts sharply with the group’s relatively benign treatment of aspartame (marketed chiefly as NutraSweet). Although the center gave aspartame a little yellow “caution, try to avoid” flag on its Web site’s food-additive section, its nutritionist, Jayne Hurley, once greeted reporters who came to find what CSPI staffers ate for lunch with aspartame-sweetened yogurt. The most widely used synthetic sweetener in America, aspartame has long been associated with a variety of health problems, ranging from migraines to seizures to blindness, and it has resulted in thousands of consumer complaints to the Food and Drug Administration and Monsanto, Nutrasweet’s current maker. Before its introduction on the market, in fact, the FDA’s own scientists expressed concerns about its propensity to produce brain tumors in test animals, but were overruled by the FDA’s Reagan-era commissioner. The rationale given by the FDA for trying to keep stevia off the shelves was that it is an “unsafe food additive” based on an alleged paucity of research and a couple of studies that supposedly raised questions about its effects on reproduction. But, in fact, there have been plenty of studies on stevia — many of them submitted in two petitions presented to the FDA seeking “generally regarded as safe” (GRAS) status for the herb — as well as a long history of use. 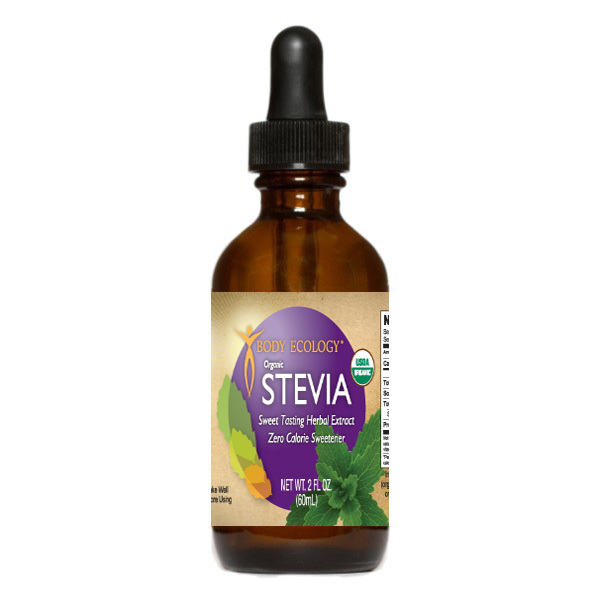 The latest attempt by the “food police” to strong-arm this sweet, innocent herb is nothing more than an empty imitation of the FDA’s transparent attempts to discredit stevia by ignoring all the existing positive data on it. Linda and Bill Bonvie are New Jersey-based health and environmental writers. I like this sugar substitute and will be very useful for diabetics, the numbers are on the increase esp. India. I know some sugar substitutes like galactulose, fructulose which are isomers of galactose or fructose, and these substitutes do not work like like sugar but tastes like sugar. I would like to know how the sugar-tasting compound in stevia plant works, or the name of the natural isomers found in stevia. It would be interesting to know the biochemical role. My brother and I have acquired some organic cocoa powder, and are interested in mixing up a tasty and healthful hot/cold chocolate drink for ourselves and family. We’re just a couple of healthy old guys exploring ways to keep on enjoying life for a while. Your articles are pretty informative and attention-getting. Any not too complicated recipes?